Laparoscopic major hepatectomy is expanding, but little data exist comparing surgical approaches. The aim of this study was to test the hypothesis that pure laparoscopic liver resection (PLAP) has advantages over hand-assisted (HALS) or hybrid (HYB) resection for major hemi-hepatectomy at two western centers. Using propensity score matching, 65 cases of HALS + HYB (18 hand-assisted and 47 hybrid) were matched to 65 cases of PLAP. Baseline characteristics were well matched for gender, age, ASA score, Childs A cirrhosis, right/left hepatectomy, malignancy, tumor size, and type between the groups. The HALS + HYB group had 27 right and 38 left major hepatectomies (n = 65) versus 29 right and 36 left (n = 65) in the PLAP group (p = NS). The median number of lesions resected was 1 in each group, with median size 5.6 cm (HALS + HYB) versus 6.0 cm (PLAP), (p = NS). The HALS + HYB group had shorter OR time (240 versus 330 min, p < 0.01), and less blood loss (EBL 150 ml vs. 300 ml, p < 0.01) versus the PLAP group, respectively. Median length of stay (LOS) was 4 days with HALS + HYB versus 5 days in the PLAP group (p = 0.02). There were no significant differences in use of the Pringle maneuver, transfusion rate, ICU stay, post-op morbidity, liver-specific complications, or R0 resection. Pain regimen/usage in each group is provided. There were no 30/90-day deaths in either group. This is the first reported series of propensity score matching of HALS + HYB versus PLAP for major hepatectomy. The HALS + HYB group had non-inferior OR time, blood loss, and LOS versus the PLAP group, while the other perioperative parameters were comparable. 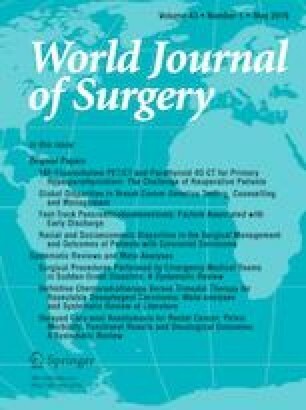 We conclude that minimally invasive liver resection with either PLAP or HALS + HYB technique yields excellent results. The online version of this article ( https://doi.org/10.1007/s00268-019-04998-w) contains supplementary material, which is available to authorized users.